Farming was the only livelihood option left for Ochung Martin after the civil war in Uganda. He started growing several crops including groundnut, sorghum and cassava. During this time, Ochung took on experimental farming by collaborating with research centers and became a ‘link farmer’ of a groundnut breeding program. 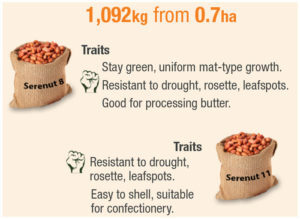 For two years, Ochung set aside a plot on his field to test promising material lines and to multiply basic seeds of improved groundnut varieties Serenut 8 and Serenut 11. Having already harvested 1,092 kg, Ochung has 0.80 ha more of groundnut ready for harvest from which he expects a further 1,890 kgs. The additional income gained from seed multiplication has boosted Ochungs’ economic and social status. He built three semi-permanent structure houses for commercial and self-use. Another significant indicator of overall well-being is the access to quality education by his children. 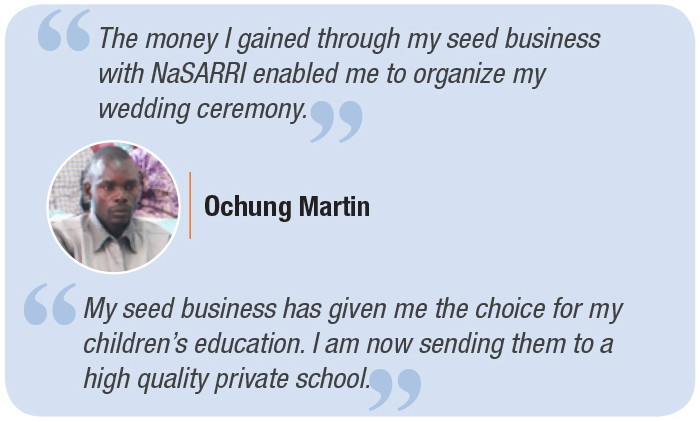 As a result of the successful intervention in seed multiplication, Ochung dedicates most of his resources to expand his groundnut seed business, thus doing his part to strengthen the overall seed system in his community. The groundnut breeding program is in collaboration with the National Semi-Arid Resources Research Institute (NaSARRI), a partner of the National Agricultural Research Systems. 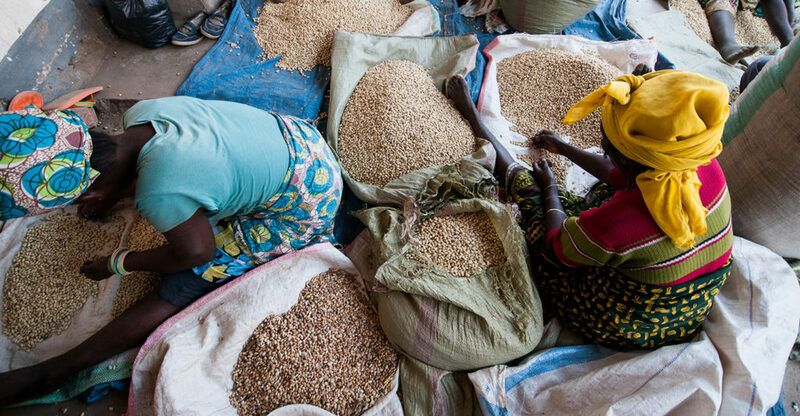 The youth of Masaka, Uganda have organized themselves to produce quality bean seeds. All 24 members in the group are registered as quality declared seed producers. 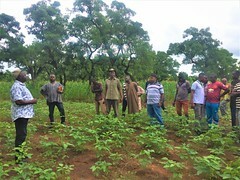 The youth group produces several varieties of beans on their individual farms, which is then monitored by a seed inspector. The bean varieties grown are Nabe 1, 2, 4, 14, 15. 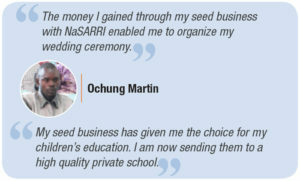 While the youth procure basic seed for multiplication from National Crop Resources Research Institute (NaCRRI), the uniqueness is their affiliation with the private sector such as CEDO Seed Company for seed sales. 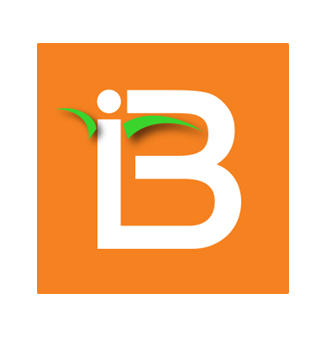 Such affiliations have greatly increased their seed business in addition to the amount they sell to their fellow farmers in the community. While the cost of 1 kg common bean is about UGX 2000 (USD 0.5), the same quantity of quality seed fetches a price of UGX 3000 (USD 0.8). Producing and using improved bean seed has resulted in significant changes in the lives of these young farmers. While some have purchased motor bikes for farm and household use, others have built houses. To sustain their economic benefits, the youth have collectively strategized to postpone their sales to a later point to obtain higher prices. At the same time they collect seed at market price after harvest (when seeds are abundant and sell at lower prices), and sell later when supplies are lower and prices have risen. Half of the difference in sale price is returned to group members and the remaining half is kept for the group account. The Tukwatirile Wamu Youth Seed Farmer Group is one of the seed producer groups affiliated with the bean breeding program of NaSARRI. The former war occupied zone in Nwoya district is ridden with land conflict which has left several families to face serious loss of livelihoods. However one farmer group stands out from the rest. The 30 member group with 77% women started farming on a 0.8 ha groundnut plot in 2016. 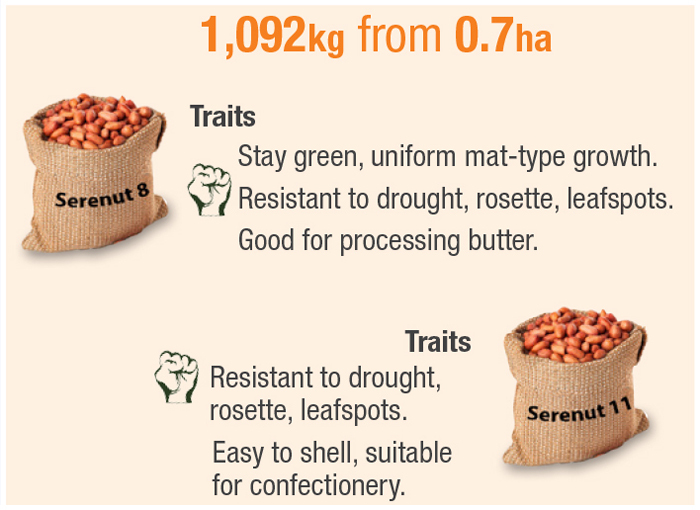 They are producing groundnut varieties such as: Serenut 5R, Serenut 9T, Serenut 14R along with their preferred varieties: Serenut 9 (locally named ‘Aber’ meaning ‘very good’) and Serenut 5. The group is well organized with a thorough distribution of tasks among group members where both women and men are assigned responsibilities. A ‘quality insurance committee’ has been set up to monitor and ensure production of quality seeds. The farmer group is dedicated to rebuilding their community and regaining a prosperous life, which is visible in their interactions and on-farm practices like weeding and field keeping. The Loyokwo Groundnut Seed Farmer Group is supported by the NGO ZOA. This NGO is implementing a post-war intervention project called ‘Land Security and Economic Development’ with help from the community. Gathering support from NaSARRI and partners, the NGO links farmers to access quality seeds. Adequate training on seed multiplication is also provided by project partners. 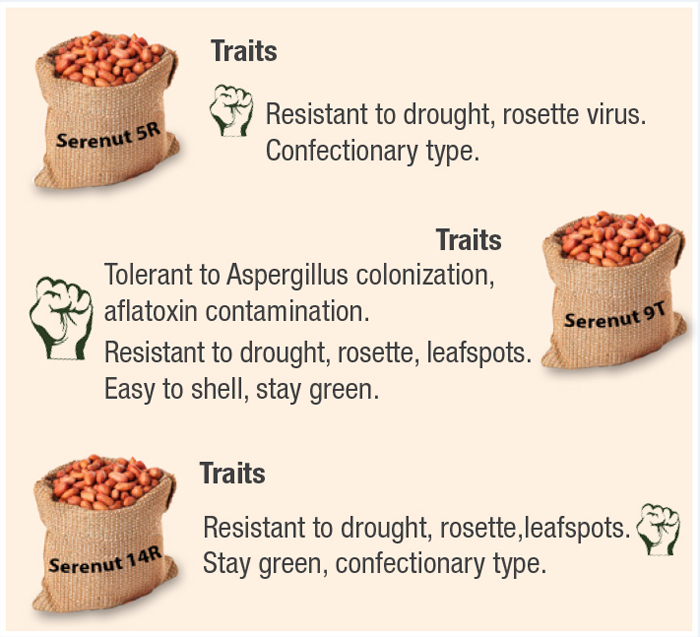 Currently in its first season of groundnut seed production, the group is keen on increasing the number of production sites and testing new lines especially, the high yielding, drought and rosette virus tolerant lines. The Loyokwo Groundnut Seed Farmer Group has also built social kudos and their influential status means they are a channel to effectively communicate relevant messages to the community. NaSARRI, a partner of the National Agricultural Research Systems has implemented a nationwide groundnut breeding program in Uganda. 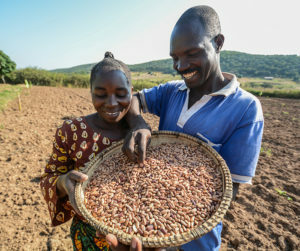 Ever since Tanzanian farmers gained access to improved seeds for multiplication and sale, they have reported exciting transformations in their lives. 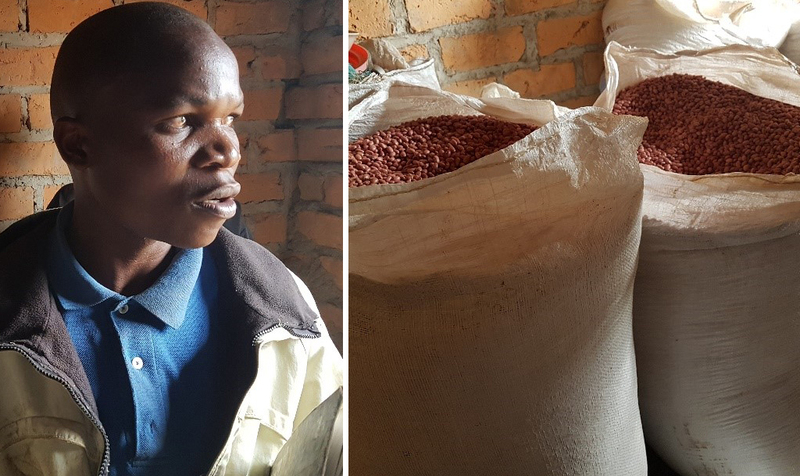 Daudi Bukuku, a farmer in Mbozi district was trained on bean production in 2007/2008 and stepped up from using grain as seed to using high quality seed of improved varieties. His productivity has quadrupled from 200 kg/0.4 ha to 800 kg/0.4 ha which he says has shifted him to be a middle-income earner. Producing and selling improved seeds has enabled him to own semi-permanent rental houses, produce biogas for sale and purchase a milling and sifting machine. Charles Mbwana used to produce no more than 100 kg/0.4 ha, but access to high quality seeds of improved varieties and accompanying production packages has dramatically changed his situation. He now produces 800 kg/0.4 ha and the extra income has enabled him to invest in vans to provide a public transport service. Neema Marasusahas experienced a fourfold increase in her productivity from 200 kg to 800 kg/0.4 ha. She uses the additional income towards educating her siblings and constructing her family house. Partners: CIAT, IITA and National Agricultural Research System (NARS) in Ethiopia, Tanzania, Uganda, Burkina Faso, Ghana, Mali, Nigeria, India, and ICRISAT.